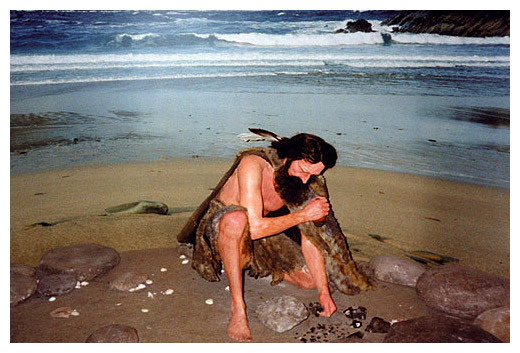 Mesolithic man depicted at Ferriter’s Cove, Dingle Peninsula by Kerry Museum, Tralee. The type of Agriculture practised in Ireland began in the middle east. There are many definitions of agriculture by different authors in the literature (Bender 1975; Lamberg 1979) but the one chosen for this essay is by Wenke (1990). Wenke states that agriculture is the modification of the environment to increase the productivity and usefulness of preferred wild food sources at the expense of the less ‘useful’ sources. 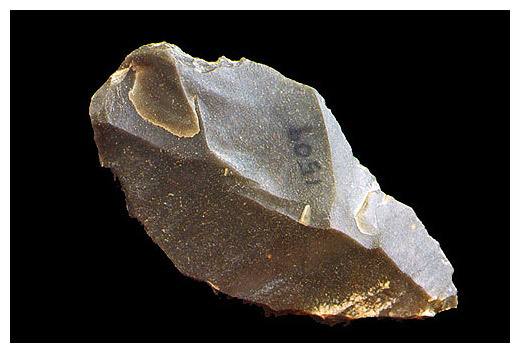 For 2 million years societies hunted and gathered their own food with their own basic tools in every environment right throughout the world until the first farmers appeared on the scene about 10,000 years ago. (They lived a balanced efficient life R Lee Irvin Devore Man The Hunter) This happened at different location worldwide at the same time. This assignment will focus on the near East Region. “Domestication can be defined as a “co evolutionary process in which any given taxon diverges from an original gene pool and establishes a symbiotic protection and dispersal relationship with the animal feeding upon it” (Rindos, The origins of agriculture, p.143). Human intervention will establish its foot print from this point onwards in the evolution of plants and animals as domestication of plants and animal become issues of primary importance. Animal and plant species will come to depend on humans for survival because of human intervention. Agriculture allowed people to become sedentary enabling permanent settlements and societies. This in turn led to the abandonment of the hunter / gatherer lifestyle. With reference to the earliest evidence the main features of the plants and animals in the Near East that changed with domestication will be discussed in this assignment. In keeping with earliest evidence in order to discuss the plants that changed with domestication it is essential to mention the factors that contribituted to these changes. A number of theories have come forward but there are two favourites -Climate Change- rising temperature. Gordon Childe argued – Oasis Theory -That climate warmed up so much in the middle latitudes of the world that desiccation was the outcome. Drought bought people together around a few oases and from this close association between humans and their food resource agriculture developed-as a conservation measure. But no clear evidence for this. The second theory Population increases argued that climate changes was  repetitive and  it  cannot account for shift to agriculture. Mark Nathan Cohen  The food crisis in Prehistory 1977. Another theory worth mentioning by David Rindos based on observation of the African Cultivator ants provide ideal conditions for the growth in Fungi that in turn produce whitish round bodies in turn are the principal food for the ant colony. “Domestication can be defined as a “co evolutionary process in which any given taxon diverges from an original gene pool and establishes a symbiotic protection and dispersal relationship with the animal feeding upon it” (Rindos, The origins of agriculture, p.143). Between 15000 to 9000 years ago the last ice age was coming to an end in the Northern Hemisphere resulting in major climate changes in much of the world. There was an initial expansion in vegetation and consequent ecological changes coinciding with a period called  Allerod Interstadial (in northern Europe)-a long warm phase within a cold period. For up to 1800 years from 13,000 to 11000 BC there was an increase in temperatures across the globe .After 11000 BC there was possibility sharp return to colder conditions- the Younger Dryas which from then to 9500 BC caused the plant ecology to change. Cooler drier conditions prompted people to begin farming wild foods that they had been collecting in abundance before. It is clear from archaeology evidence and palaeoecological studies that pre- domestication agriculture was taking place- on as was then –damper ground along water courses in Northern Syria in particular Tell Abu Hureyra (Syria) and Tell Mureybit(Syria) on the Euphrates river. Cohen (1977) identifies that the main plants involved were Cereals, Legumes Chick peas and Lentils. Three of the main cereals were: Barley-Hordeum distichon which arose from wild barley –H spontaneum, Emmer wheat –Triticum dioccum- an early type of domestic wheat derived from a wild form T. dicoccoides, and Einkorn wheat –Triticum monococcum derived from the wild form –Triticum boeoticum. The most versatile in terms of environmental requirements-soil, climate requirements are the barleys. These are commonly identified in on early archaeological sites as charred grain or impressions in pottery .The grain becomes carbonised in accidental and grain processing fires- the remains are intact and identifiable. Feature that changed in cereals with domestication which also make them less able to survive in the wild-hence more dependant on humans for their survival are (i) the toughening of the rachis (stem of the ear) this is the segment of stalk which the kernels of wheat or barley are attached this was originally brittle allowing the seeds to be dispersed from the plant by a brush with an animal or the breeze. (ii) the loosening of the glumes(chaff).These tough  husks protect the seeds for dehydration and frost. In the wild when the cereals ripen (late May early June in the Middle East) the rachis of wild plants becomes brittle and breaks at rachis node into individual spikelets and hence the grains are dispersed. Without brittle rachis wild plants would not seed themselves. This development of toughening the rachis and loosening the glumes is unclear. The majority of wild plants have brittle rachises and tight fitting Glumes there are always a few ‘mutant’ plants (between 2and 10%) that have semi tough rachis and looser glumes. It is unclear as to how this came about or how exactly the mutant plants became the dominant ones. Wenke (1990) states that one of the earliest communities based on intensive plant production  making the transition to sedentary communities is Tell Mureybit on the Euphrates river east of Aleppo, Syria at about 8200 to 8000 BC. Recovered were Charred wild einkorn, wild barley, lentils, bitter vetch, pistachios, tod rush, and possibility peas ( Wenke 1990 p246). “Most of these plants can be found locally, but wild einkorn and barley are not native to this area and in fact can be found in natural stands no nearer than 150km to the north west”(Mellart1975p46). Pollen evidence and detailed studies of seeds, fruits, and roots found on archaeological sites provide some evidence. DNA studies comparing DNA in wild stands of Einkorn wheat with DNA from early domesticated charred remains indicates southern Turkey is the earliest location –centering on Karacadag. The dog was the earliest domesticate and was independently domesticated in Asia, Central America and Northern Europe –Britan Starr-Carr Yorkshire 8000BC.There is earlier evidence in NE Iraq (Palegawra cave) c12,000-14,000BC. “The first evidence of of sheep domestication may be the presence of sheep bones in Neolithic settlements (c. 9,000-6,000 BC) in the Jordan Valley. These bones reflect no morphological changes in the direction of domestication, but sheep and goats are not native to this area and their presence here reflects intentional introduction” (Wenke 1990 p240). Sheep-domestic sheep-Ovis areis-seems to have derived from the West Asiatic Mouflon or red sheep –Ovis –orientalis. The domestic goat Capra hircus seems to have developed from the Bezoar Goat –Capra aegagrus. The domesticated cattle Bos Tarus derived from the wild cattle Bos primigenius. The domesticated pig –Sus Scrofa derived from the Euro –Asian Wild Boar –Sus Vittatus. The domesticate dog, Canus familiaris derived from the Euro-Asian Wolf, Canus Lupos. The wild cattle (aurochs) wild pig and wolf have broad Euro-Asian distribution. By comparision distribution wild sheep and goats more limited –centering on the Middle East wild. Some of the feature changes that took place with the domestication of animals were changes in Bone Morphology including an overall decrease in the size of the animal, a decrease in size of the facial part of the skull, the loss of horns in female sheep,achange in horn size and shape in male goats and a decrease in size and shape of animal limbs. In order to demonstrate to demonstrate domestication had occurred on a particular site, bones are needed to indicate transition from wild to domestic –e.g. Tepe Asiab goats; Tell Abu Hureyra sheep. In Ganj Dareh there was high incidence of culled young males against older females. Small numbers of males were necessary only for breeding purposes.A animals species  were found outside of their normal range in the wild-sheep/goat in Europe. In Mallaha ,Isreal a puppy was buried with a body c10000BC indicating buriel of animals with humans. Representation of animals in art form have been discovered indicating control of them and therefore domestication. Following domestication of the dog the next animal to be domesticated were goats occurring 10,000 to  8000 BC. Earliest evidence of this was discovered at  Ganj Dareh Kermanshah (western Iran dated 8600 BC). A change in shape of the male horn cores was found at Tepe Asiab Iran c. 8000-8500BC. Evidence of sheep is from the central part of Fertile Crescent from Cafer, Cayonu in Southern Turkey and Abu Hureyra in Syria. Sheep and goats were very important animals because they were very efficient at converting plant matter to meat and milk. Cattle were the last of the main farm animals to be domesticated and it has not been confirmed where the earliest domesticates came from .More recent studies on the decline of bone size point to the western part of the Middle East. Two sites in South central Turkey (Gritille and Catal Huyuk show size reduction begun c7800BC with smaller stock by c6,600 BC. Decrease in size could also be part of general decreases post glacial period . Cattle provided large amounts of meat once domesticated and were also very important for their secondary products such as milk hides and later their use as draft animals. Evidence of the earliest domesticated pig comes from South Turkey ,North West Syria-sites Grittle Cayonii at c 7,700BC.SA further series of sites have later evidence –Ras Shamra,Tell Judiadeh (Syria) and Labweh(Lebanon)There was a considerable decrease in the size of the pig. This assignment has discussed the main features of the plants and animals in the Near East that changed with domestication. Agriculture is a process. One begins with a high degree of familiarity with wild plant foods through a process of experimentation and ultimately manipulation, humans create a selective force choosing those characteristics they find most favourable about a plant or animal. Increased number of settlements and diversity of settlement locations and size of the sites. Over kill of Persian gazelle let to the adoption of sheep. No Pottery in the early stages of farming. Much of the variability in hunter-gatherer adaptations seemed to be linked to food storage. Development of agriculture is the most significant transformation in human condition. Humans first became farmers 12000 to 4000 years ago. One of the most significant aspects of agriculture apart from the production of great amount of food is that it promoted people to stay in the same area resulting in sedentary communities.